Who wouldn’t want to name these cuties! What’s something that every animal shelter and rescue have lots of? Animals. And most of those animals come in needing names. So hold an online Animal Naming Rights Fundraiser Auction, for all of your newly rescued animals that need names. Really, who wouldn’t want to name the cuties pictured above? A Naming Rights Fundraiser for new rescue animals is pretty simple, and doesn’t really require a whole of effort. Most animal shelters and rescue groups already have websites, and/or social media pages, so put those to use. Advertise on your websites and social media pages that you’re have a Naming Rights Fundraiser Auction and post the pictures of the animals that need named. Remind the bidders that the names must be un-offensive and appropriate. You’ll also need to set a time limit, usually 24-48 hours after posting. You don’t want the newly arrived rescues to be nameless for long. 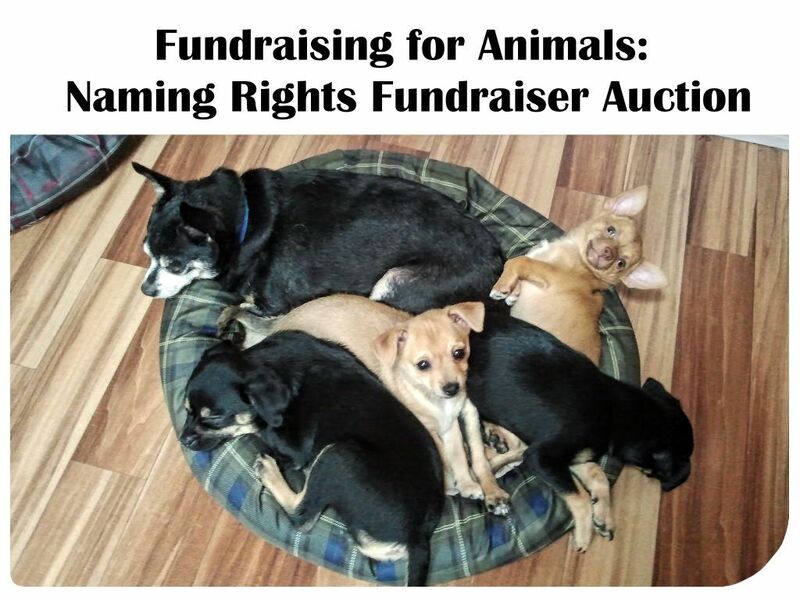 Each newly arrived rescue animal has his/her own auction. Although you could do a litter of puppies/kittens as group, if you wish. Just set the minimum bid a bid higher, such as a starting bid of $1 for an individual animal and $1 times the number of puppies for a litter, or just $5 for the litter. People can bid on the naming rights for each new animal that needs a name. The highest bidder, at the end of the time set, wins. They get to name the animal they bid on, as long as the name they’ve chosen is appropriate. Payments can be made through Paypal on a lot of social media sites, such as Facebook, so it couldn’t be easier. After payment is received, announce the newly named animals to the world, and watch your animals get adopted quickly. An Animal Naming Rights Fundraiser Auction won’t be a high income fundraiser, but it can provide a significant amount of income over time if you keep doing it for as many animals as possible. Litters of puppies and kittens can be very profitable, everyone loves babies and wants to give them names. And it requires very little effort to do, so even the small payout is worth it.